This is a course for those who wants to get an introduction to textile crafts and design. 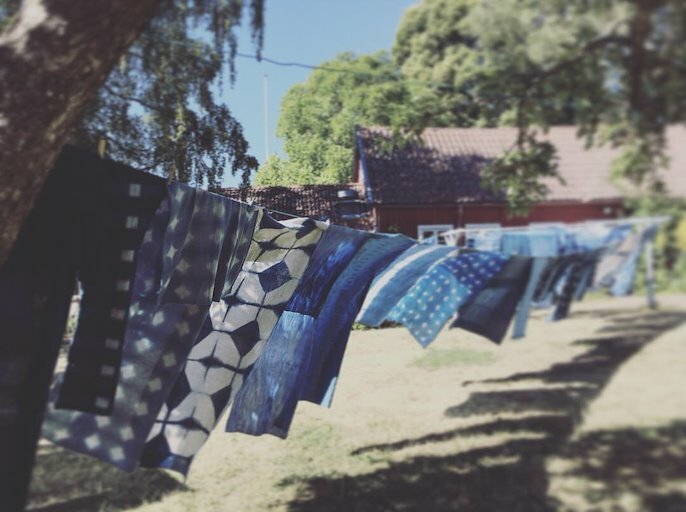 We will use different reservage and printing techniques together with dyeing with natural indigo, a selection of plant colors as well as synthetic pigments to investigate different ways of making patterns. We create patterns by pressing, coloring, drawing, folding and sewing etc. The course also contains a task where you will be able to try methods to work based on inspiration with design. The aim is that the various elements will give new ideas and knowledge about textile materials. 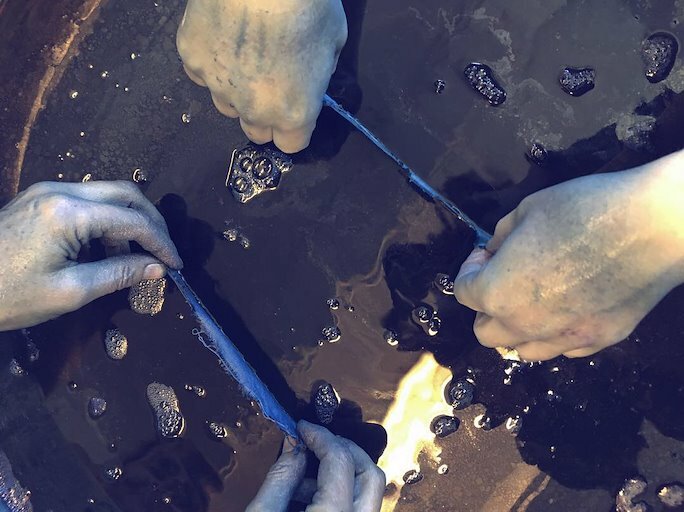 After the course you will be able to create patterns yourself, calculate recipes and work with different textile pigments and qualities. The course is suitable for those who have prior knowledge of textiles and for those who want to try something completely new. The teaching mixes common reviews with individual supervision.